With winter approaching, my skin dries out fast. I love moisturizers and creams and use them daily. 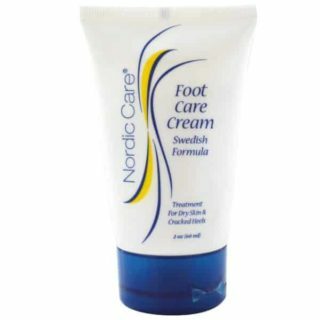 To keep your heels from cracking and to avoid dry skin, check out this free sample of Foot Care Cream from Nordic Care Professional. To request this sample, fill out the form found here with your name and email address. You’ll receive an email with information on how to request your free sample. Never heard of this product before, would love to try it! Sounds great ! I’d love to try it !! been trying to find a product strong enough to help the issue. So, I hope this will help me and my problem areas. Thanx. Have dry skin and some circulation problems. Feet and ankles often itchy and uncomfortable. Would love to see if this product helps. Very anxious to give products a try Thanks for the offer. Very much in need od constant non evasive foot care. my feet are in some type of pain all the time. Sore, aching tired you name it it give me trouble.